The popular culture of American law has never played a larger role than it does today in shaping the way we think about lawyers and the legal system. Our very definition of justice is now inseparable from motion picture and television images and popular legal narratives, from Hollywood westerns and O. J. Simpson to Law and Order and John Grisham. 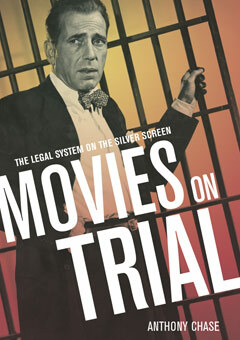 In Movies on Trial, law professor and movie aficionado Anthony Chase sorts out some of the complex and often contradictory notions Americans have about the legal system. He uses movies to investigate and inventory many of our deepest beliefs about law and politics, and provides a strong historical and intellectual context throughout. Analyzing Dirty Harry and True Believer for their commentary on the Miranda ruling and criminal procedure, and explaining tort law via The Verdict and A Civil Action, Chase also employs Three Kings to reveal changes in international law and The Rise to Power of Louis XIV to explore the rise of the modern state. Through the lens of film, he is able to describe and analyze the symbiosis between the image of law and its actual practice in our cultural imagination, in a genuinely illuminating and entertaining book.